Do we need a new Constitution? As the work of the Constitutional Assembly of the Parliament progresses to a reasonable level opposition is mounting from various quarters who argue that there is no need for a new Constitution and the current document we have is good enough. It is not strange because many times we have experienced similar developments in the past whenever attempts were made to find a reasonable solution to the northern issue, the most well-known instances being Bandaranaike- Chelvanayakam Pact and Dudley-Chelvanayakam Pact. 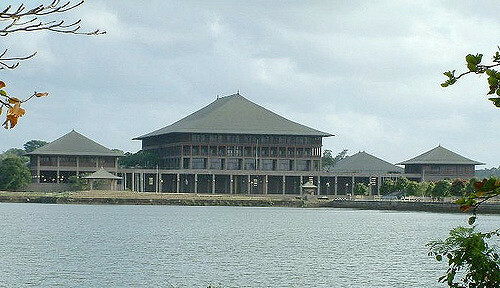 Another somewhat similar instance was the Constitution Draft Bill of 2000 during the presidency of Chandrika Kumaratunga. The strangest is that there was no such massive opposition when the country’s Constitution was replaced twice in the past without addressing the northern issue which has been a thorn in Sri Lankan politics from the late fifties onwards. In both those instances (1972 and 1978) although there were reasons for a change mostly they were driven by the private agendas of the ruling parties and not meant for addressing any of the burning issues at the time. 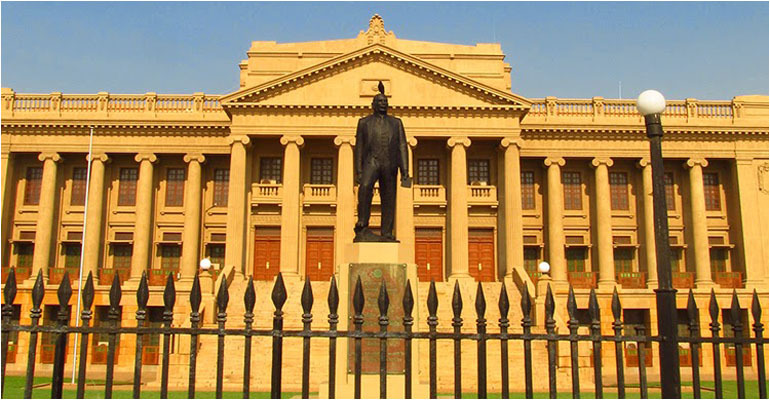 The other significant feature was on both those occasions the Constitution was rushed through the Parliament making use of the two thirds majority they had without adequate public discussion or consultations and also without the active participation of the Tamil community even in the Parliament. This is the first time in the history of our country a Constitution is being discussed widely in Parliament and across the whole nation and therefore it is reasonable to expect opposition from many quarters. Public reactions for or against are a good thing in a democracy and more so when a new Constitution is expected to be promulgated in the most participatory manner with adequate discussion and finally through an islandwide referendum. Fears of separatism and division of the country are quite understandable in the context of the actions of the LTTE in the recent past. However, we must also remember that despite their separate religious and linguistic identity Tamils never asked for a separate territory for them at the time of independence.They only asked for adequate representation for them in the Parliament. The idea of a new Constitution is mainly to keep the cohesiveness of the nation, inclusive growth and prosperity and not to encourage division of the country. After many years of conflict we need to recognize that Tamils have unresolved issues that need to be addressed constitutionally which the thirteenth amendment has failed to resolve. That is the very reason why the Former President Mahinda Rajapaksa in his dialogue with the government of India promised a solution going beyond the thirteenth amendment which he called ‘Thirteen plus’. As a result of three decades of bitter conflict, the Tamil issue has got internationalized almost nearing UN involvement and the current unity government was voted into power supported by of the Tamil community with the promise of finding a reasonable solution to the northern issue among many other changes to the governing system and electoral reforms. It was a serious promise not only to the Tamil community and the nation but to India and rest of the world community who have been concerned about the developments here. Therefore, this government has a serious obligation to deliver on its promises and any intentional failure to do so will not augur well for Sri Lanka as a country. Such a situation can only invite the involvement of the UN and other powerful countries in resolving the northern issue while also encouraging divisive and separatist elements in the country and thus providing a fertile ground for re-emergence of terrorism. Any postponement of a solution to this problem will also postpone the economic progress of our country as happened during the last several decades. It is only a satisfactory resolution of this issue which can bring back the Tamil community to the main stream of things and ensure their full participation in the country’s economic development. Similar ethnic issues that have been plaguing most other nations have been now resolved and finding a long lasting solution to our problem is an urgent priority and drafting a new Constitution will be a great opportunity to do . The current inclusive approach with wide debate both in Parliament and outside will afford the opportunity of resolving the issue with the participation of the entire nation. This is the best opportunity in decades as the country’s two main political parties have joined together to form a government backed by minority political groups led by the Tamil parties. In the past, many attempts to solve this problem failed because whenever the governing party proposed a solution the other party blocked it. If we do not resolve this now, it will lead to permanent frustration of the Tamil community and will also be a blow on the political future of moderate Tamils led by the TNA who supported the formation of the unity government with much hope. Key issues in current political debate such as place of Buddhism in the Constitution, the unitary state and the executive presidency are important to many, but that should not be an impediment to settle the Tamil problem where the core issue is devolution of power and land rights. It may sometimes be possible to resolve the issues vital to the Tamil community even without tampering with current constitutional provisions regarding unitary state, Buddhism or even executive presidency. Therefore, it is politically detrimental to the country’s future to oppose the idea of a new constitution altogether. What we have so far developed through the ongoing parliamentary process is a set of proposals and ideas which can be the basis for a constitutional draft. It is a short sighted move to stifle the entire process just because a few proposals on the table are unpalatable to some. All right thinking people who have a genuine desire to see an end to the long standing national issue should look at the current constitutional proposals not with suspicion but with openness and receptiveness. In this context the best judges to decide on the need for a new Constitution will be the people themselves and the idea of a national referendum on the issue could perhaps be the best answer to the problem. When I was reading this political commentary by senior journalist and newspaper editor Gamini Abeywardane I got the feeling that I was going through an address delivered by a mature political leader who has reached the stature of a great statesman of this country at an august forum like the Parliament. Well, it was only my wistful thinking. This commentary contains a few home truths which some of our people are either blind to or refuse to acknowledge due to sheer prejudice or crass obstinacy. For examples, Tamil leaders did not ask for a separate state at the time of national independence. In fact, they threw their full weight behind the Sinhla leaders in the struggle for national independence. Of course, Muslim leaders too acted likewise.Well, Sri Lanka was spared the kind of agony that her neighbor India had to go through. The main objective of a Constitution should be to keep the cohesiveness of the nation - the territorial integrity and the sense of brotherhood binding all communities together. A grand opportunity is within our reach today for the first time almost 70 years since our national independence to adopt a Constitution acceptable to all communities ensuring lasting peace and national reconciliation in the country. The billion rupee question facing us today is whether we should slip this precious opportunity through our fingers again!